For some reason it's saying one of my photos isn't found so I'm going to try and repost it. It's actually the better of the two picks in the previous post. Awesome! It will be cool to see them in an outworld. 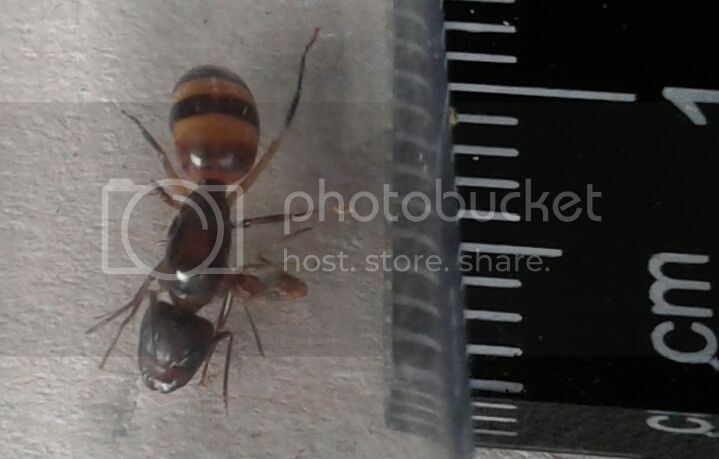 So, it's been a few days and I noticed my Camponotus subbarbatus colony that had 7 workers went to 6...dunno why but good news is today as I was hooking them up to their new custom made outworld, I noticed the first worker of the year has arrived! She is sooo pale/clear. I would take pictures but rather not as I disturbed them enough moving their test tube and everything. I will take some though maybe tomorrow. Also, the single queen I had founding, she had a small like if eggs and 1 big larvae...checked on her yesterday and the larvae is gone. I wasn't sure if she had enough reserves left to do another batch from scratch so I let her and her brood go. I hope she has a comeback... 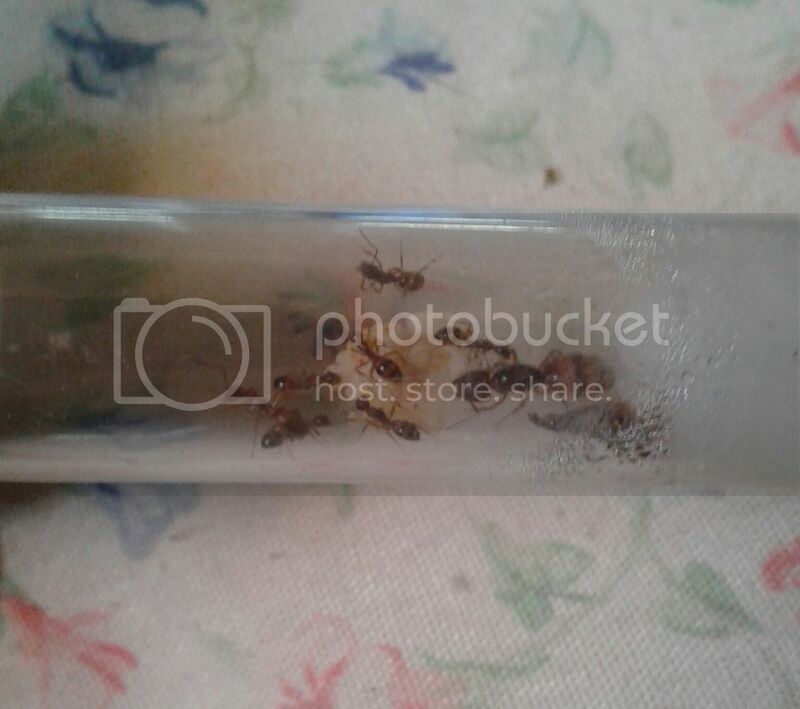 The other colony with 3 workers is a little behind in brood growth but seem to be doing ok as well. 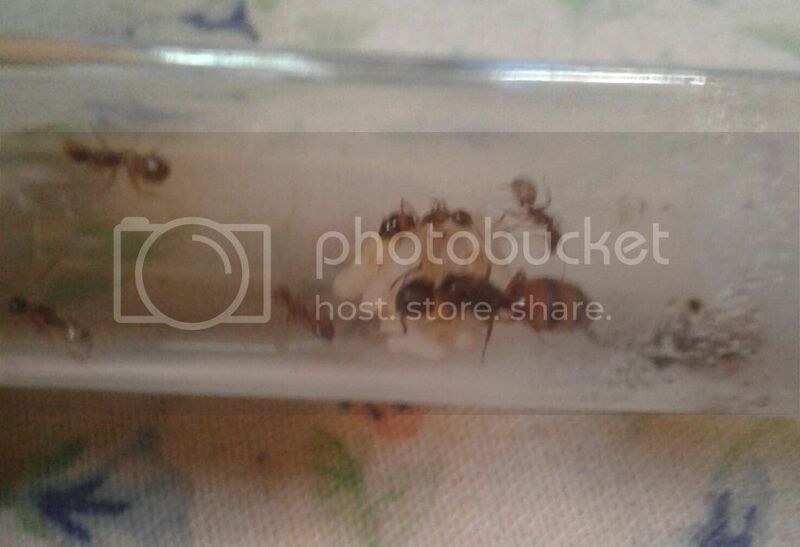 Well guys, my main Camponotus subbarbatus colony now has 2 new workers, one of which cant be but just hrs old as I had did a quick peek I got home from work and again b4 bed just now...maybe 5 hrs tops. We are on the rise my friends, 8 workers! And boy do they have a pile of pupae, as well as larvae and eggs. I think this is going to be a very productive year for them. I'll post pics as soon as I can. I just don't like disturbing them This is such a beautiful species! Hi I'm Jack, How are you?